Blockchain is not middleware meant to tie into existing legacy systems, but there are methods for automating the flow of data from ERP systems to a distributed ledger technology. First, though, you should figure out if you even need it. 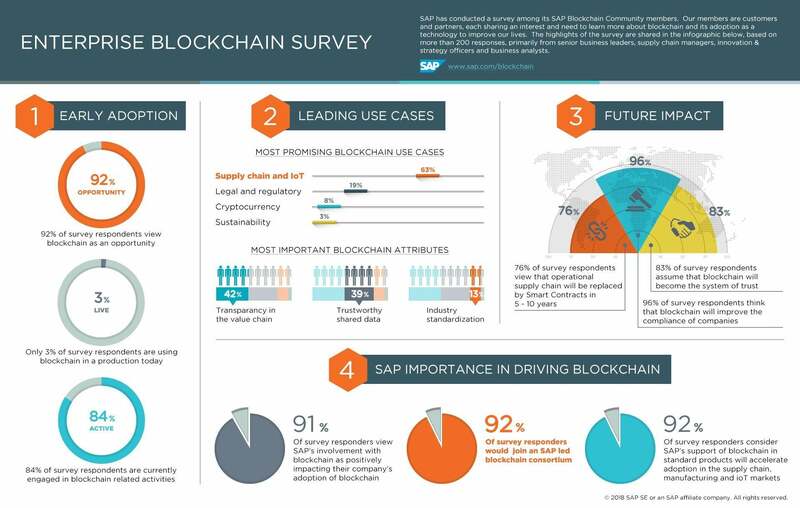 Blockchain offers enterprises a new method for transacting over a distributed, trusted network, but plugging the technology into existing databases, ERP systems and a client/partner base is no small task. And in many cases, it isn't even needed. While few production blockchains have been deployed, the distributed ledger technology (DLT) was still one of the most-hyped technologies of 2018. It's not just hype; the blockchain market is expected to skyrocket in value from $708 million in 2017 to $60 billion by 2024. Because of all the market hype, companies made a mad dash to implement DLT, lest they lose a competitive edge, according to Kevin McMahon, director of emerging technologies at Chicago-based consultancy SPR. For many companies, however, DLT isn't a good fit for tasks that can be just as easily handled with traditional technologies, such as relational databases. For others, the challenges associated with implementing DLT will have less to do with the technology itself and more to do with building out a network of users who can agree on governance rules. "The technology part isn't really all that difficult. It's novel, the cryptography's great and it's got some cool features, but the real challenge is building out that network – finding people who want to participate and want to share data amongst themselves and are committed to maintaining the infrastructure necessary," McMahon said. "It's about making sure their processes and workflows are able to accommodate writing additional data to a blockchain."